Really easy, all you need is a spray bottle and some flavored water (flavoring is optional, but I think way better). I went with Kool-Aid as that's what was in the cupboard :) (UPDATE: seeing a few comments on FB, I think I'm going to switch to lemonade flavor - something light in color that won't stain kids' clothing if dripped on!!). You can download my label HERE. To use it simply have the kids sing, then tell them they could probably use a little help to sing out a bit more. 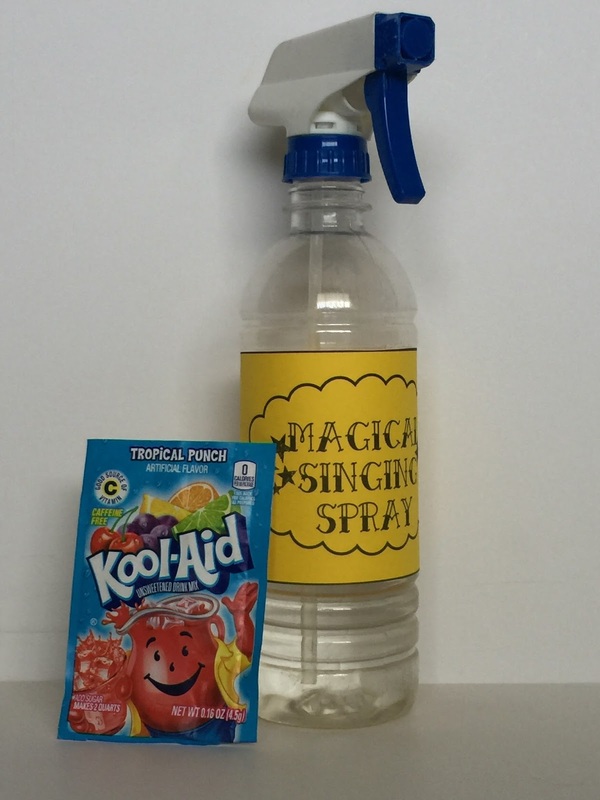 Bring out your magical spray and while everyone is singing again, give the kiddos a squirt, keeping some distance between the bottle and their mouth so no germs are spread. You can also use it as a motivator - good singers get more squirts! And if those older kids say it doesn't work, then I suppose they won't need any more :).